Bitcoin is the world’s first cryptocurrency and decentralized digital currency. 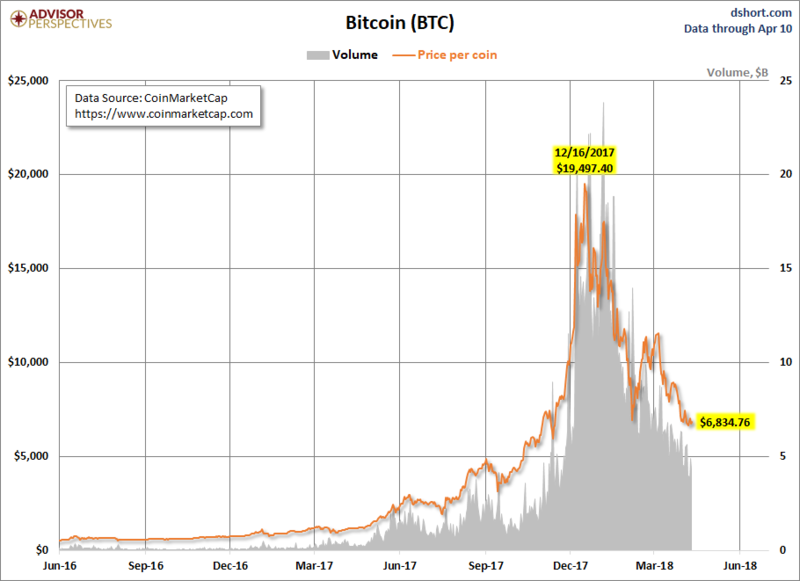 The first bitcoin transaction occurred in early 2009 and has since grown worldwide. 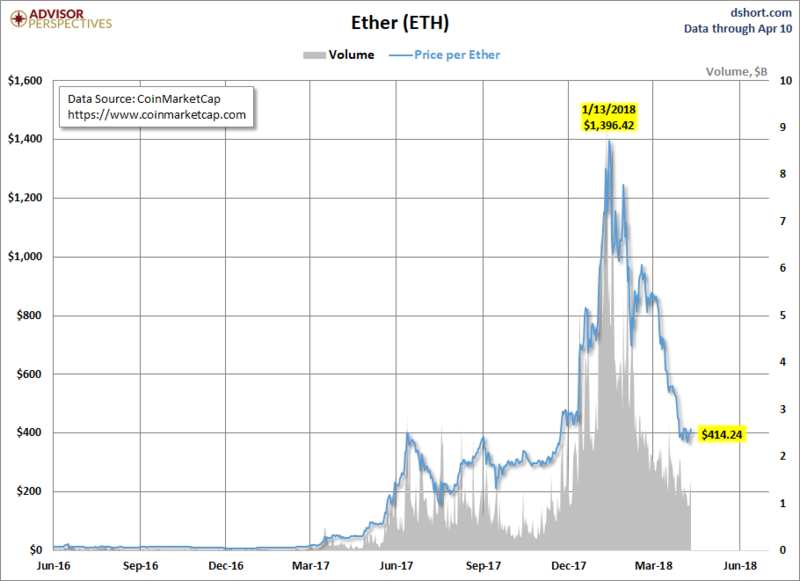 Ether is another cryptocurrency run on the Ethereum blockchain platform and has the second largest market share, despite being the newest of the three with its launch in July 2015. 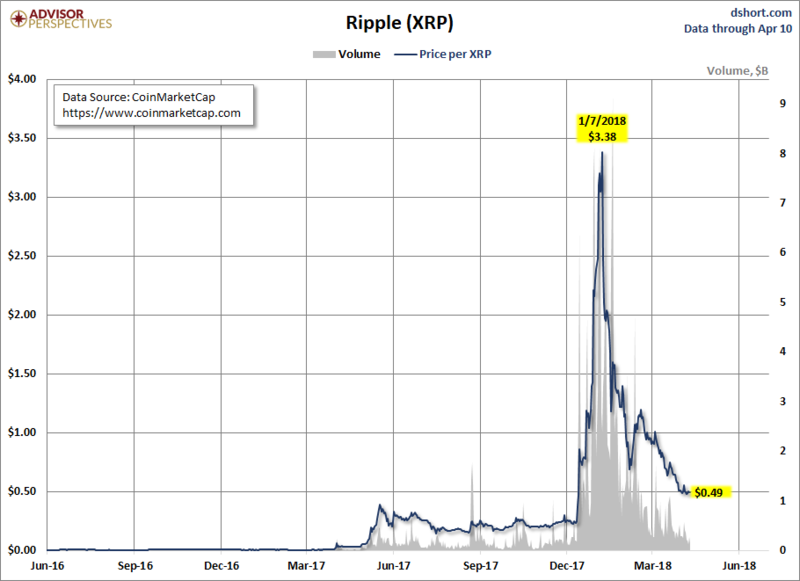 The third largest market share of cryptocurrency, XRP, is owned by Ripple and launched in 2012. We have also created an index in order to chart these together given their very different pricing history. 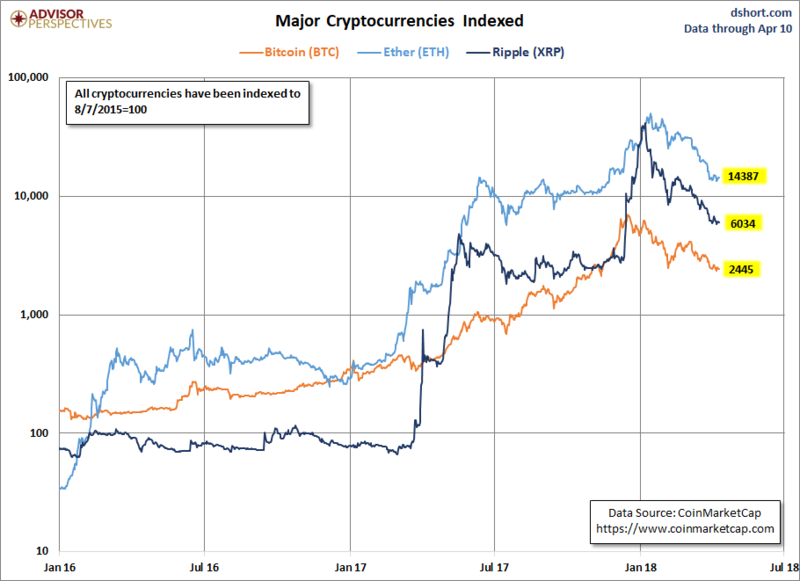 Notice that Ether tops the chart – the price of an ether has changed the most out of all three cryptocurrencies.